As a little girl grows, so do the wheels that keep her moving. When Sophie is born, her parents and brother take her out in a bouncy buggy. At first, Sophie stays curled up all cozy inside, but soon she can sit up and smile at the world. Before you know it, she's moved up to a stroller and then to a tricycle. 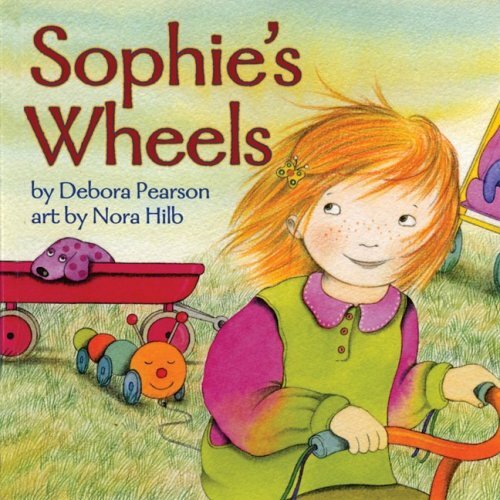 With each new set of wheels, Sophie discovers new things to see and new ways to see them. Low-riding strollers are great for bug-spotting. Snowbound wagons are no match for zippy sleds. Eventually, big girl Sophie is riding a bike on her own, all the way around the corner and then back to her cheering family. The talented team that brought you Leo's Tree returns with this rhythmic tale of Leo's little sister. 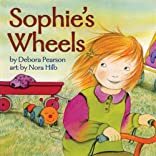 Children will delight in Sophie's freewheeling antics as captured by Debora Pearson's catchy cadence. Nora Hilb's delightful illustrations keep the story rolling along.